Motor vehicle crashes are the leading cause of death among teenagers in the United States. In 2015, 2,333 teens between the ages of 16 and 19 died in car accidents and more than 220,000 others were injured. According to the federal Centers for Disease Control and Prevention (CDC) that means six teens died every day in car accidents. Teens are more likely to drive faster than the posted speed limit and are less likely to maintain a safe distance between themselves and the car in front of them. Teens are less likely than older drivers to wear seatbelts. In 2015, one in five teens admitted to having ridden with a drunk driver in the previous month. Eight percent of student drivers said they had driven drunk in the previous month. Drunk teen drivers are more likely to be involved in a motor vehicle accident than drunk adults. Three Florida teens died in August after violently crashing a stolen car. A fourth teen was taken to the hospital with injuries. They and another pair had stolen two vehicles from a car dealership in Clearwater. Police tried to apprehend them but did not engage in a high-speed chase. However, both stolen vehicles hit speeds of 100 miles per hour. One of the cars crashed into another vehicle before catching fire and going airborne, also striking a billboard pole. The driver of the car they hit sustained minor injuries. A 17-year-old driver recently died in a rollover crash in St. Lucie County. He was traveling south on Interstate-95 when he lost control of his vehicle and went off the side of the road. He and another passenger weren’t wearing seatbelts and were ejected from the vehicle. Another passenger was wearing a seatbelt. The driver died at the scene of the accident and both passengers sustained minor injuries. Teen driving dangers aren’t limited to automobiles. A 14-year-old driving a four-wheeler recently caused an accident in Palm Beach County when he ran a stop sign and crashed into another vehicle. Both he and his 10-year-old passenger were seriously injured. Under Florida law, teens under the age of 16 must be supervised by an adult when operating an off-highway vehicle. 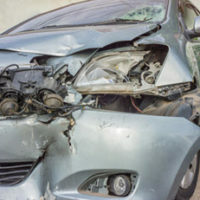 Contact a West Palm Beach personal injury attorney at The Pendas Law Firm today for a free consultation if you have been injured in a motor vehicle accident caused by a teen driver, or if your teen has been injured or killed in an accident caused by someone else. We will help you and your loved one recover compensation for your injuries. The Pendas Law Firm also represents clients in the Tampa, Orlando, Miami, Fort Lauderdale, Jacksonville, Fort Myers, Daytona Beach and Bradenton areas.